This is a Mentor Fishout – that means that new members and novice fly fisherman will get the first shot. The fishout will include a morning clinic put on by Mikey Wier, a local guide known for his still watertactics. This is a great way to sharpen your own skills. Saturday night we will have a pot luck at Rich Slade’s house. We will BBQ some appetizers and burgers. 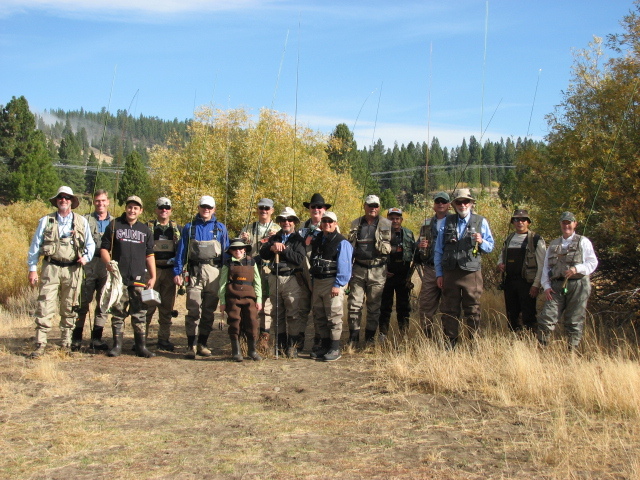 Depending on conditions, and the fishing reports, we hit the Truckee or one of the local lakes on Saturday. Sunday is optional. Tahoe offers a wide range of options; everything from small streams to lakes. The fee will go to pay for the Saturday AM clinic. The Truckee can be tough to wade so bring a wading staff and PFD is you have one. This fishout is limited to the first 12 people that sign-up. New members will get preference. Payment must be received to hold a place. I am also looking for some mentor’s to help out our novice members.